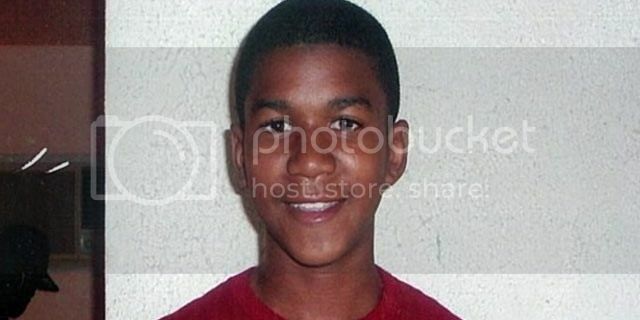 Home Politics and Social Justice racism Voices Lifted Where is Justice for Trayvon Martin? Where is Justice for Trayvon Martin? I am a lawyer. I am often asked why I decided to become a lawyer. Unfortunately, I can't point to any one thing that made me want to be a lawyer other than to say, it’s just what I always wanted to do. The focus of my practice is children's issues. I represent children who’re facing delinquency and who are products and/or victims of neglect. When prodded as to why I chose to practice juvenile law, my answer is simple: I want to work helping rehabilitate juveniles now so they won't need me later in life, when it might be too late for them. Trayvon Martin was not a juvenile delinquent with any prior history of violence or behavioral issues however, so he would not have been a client of mine. Trayvon had a family that loved him, plans to attend college and a desire to be a responsible, productive member of society. Perhaps Trayvon’s only mistake the night he met his tragic fate, was thinking he was free to walk around the gated Florida community, where he was visiting his father that weekend, while being Black. The tragic and deliberate killing of this child amounts to nothing less than murder. The decision of the Sanford Police Department not to charge George Zimmerman, the White man responsible for his death-- (because he mistook Trayvon for one of those types, who “always gets away” from the scrutiny of racial profiling), is deplorable and serves as a reminder that while we have come far, we have not evolved far enough. Black-on-Black crime often falls by the wayside, and the perpetrators become statistics of the prison system; White-on-Black crime however, seem to carry a different weight and that burden is often times, not as heavy when a White perpetrator is the obvious instigator. No one looks for our missing children; our photos mostly appear on CNN when we are the aggressors, and crimes against Blacks in general, go uninvestigated or not investigated to their fullest capacity. George Zimmerman overzealously killed Trayvon Martin, and is a man who fancies himself as a vigilante with delusions of grandeur; otherwise he would’ve remained in his vehicle, as he was instructed to do by the police dispatcher he spoke with, as he stalked Trayvon Martin. Zimmerman outweighed Trayvon by about 100 pounds, in addition to a reported history of aggression and therefore a propensity for violence. While this information may not be allowed at trial, it is definitely a reason for the police to have made an arrest following Trayvon Martin’s senseless killing. The laws do not distinguish criminals by the amount of education one has or even their standing in the community. Many so called important persons have fallen from grace. But frankly George Zimmerman would have needed to climb upon a ladder to reach the level upon which Trayvon was operating. Yet this white man has not been arrested for snuffing out a life, taking a child from his parents and stealing his future. In choosing not to arrest George Zimmerman, the police department is condoning his behavior, almost as if to say, “Thanks for doing us a favor.” Not only should George Zimmerman be charged with murder but the charges should be enhanced with the hate crimes statute. It is horrible that a situation such as this comes down to color but the bottom line is if Trayvon had been an unarmed White, All-American kid, there would be calls for George Zimmerman to be put to death. If you're wondering how a lawyer could be so jaded, the answer is simply; I am as much not jaded, as I am a realist who sees and lives this reality every day. The definition of justice is: “the administration of law; especially the establishment or determination of rights according to the rules of law or equity; the quality of being just or impartial”. Thus far, there has been no justice for Trayvon or his family. The police have been everything but impartial. I call upon Florida's 18th District State's Attorney Norman Wolfinger to uphold his position, investigate this tragic murder and force his officers to do the work they have been trained to do. And I call upon Florida Attorney General, Pam Bondi, to investigate the inaction of the Sanford Police department; show us that our children matter. Trayvon Martin was someone's child and he deserves justice.